Hi, it’s Steven Mill and today I want to tell you about Measuring The Partial Discharge. Ready? 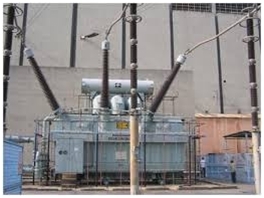 Transformer routine test is normally conducted to see if there are any partial discharges in the transformer insulation. What is a partial discharge? A partial discharge can be described as electrical arcs produced between any of the electrodes in the insulating material of the transformer, which can in turn produce surges between the conductors. Partial discharges normally occur as a result of little air bubbles left over in the insulating material of the transformer during the manufacturing stage, or at the surface of the insulating media.